Twitter's New User Interface Looks Amazing! Twitter’s New User Interface Looks Amazing! 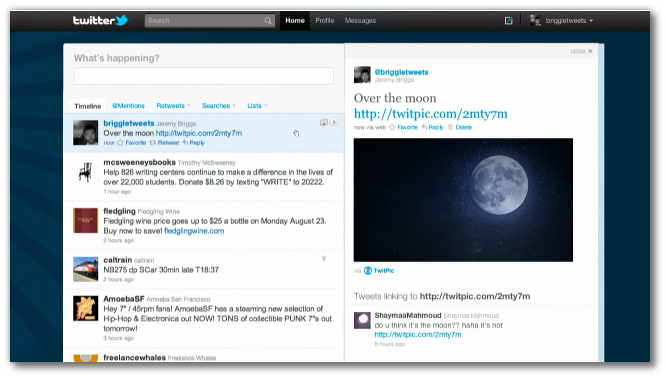 Earlier today, Twitter has revealed a new interface for twitter.com. It brings a lot of features which effectively makes Twitter a lot like an app then just a website. Now Twitter.com has a embedded media, keyboard shortcuts, new two pane interface etc. Instead of me describing by words, why not watch the video below? Twitter has started rolling out this new UI and it will take a couple of weeks for everyone to get this. If you have already got it, do share your experience.